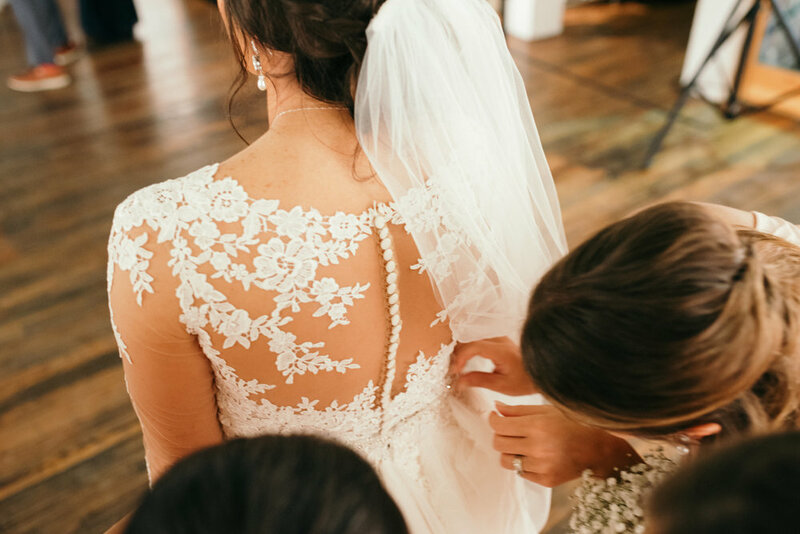 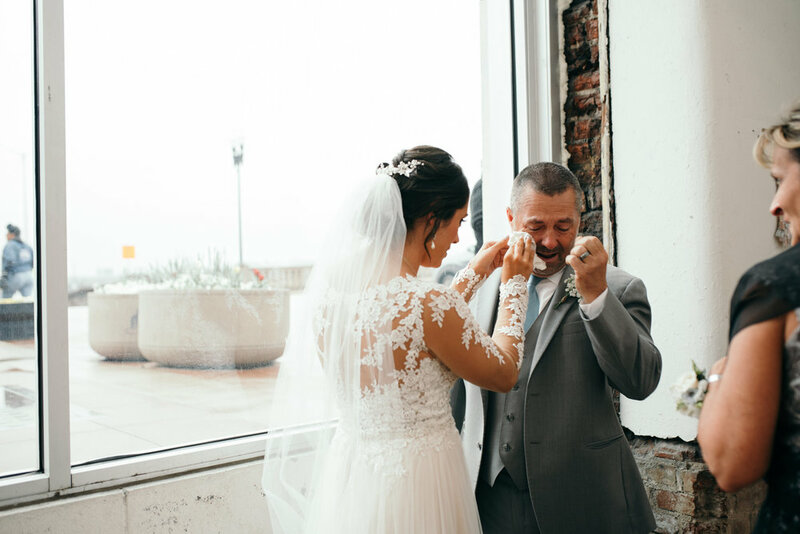 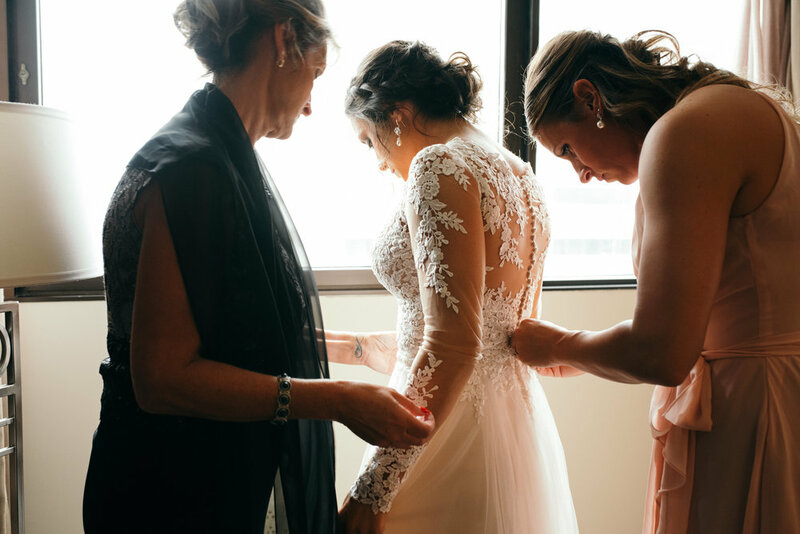 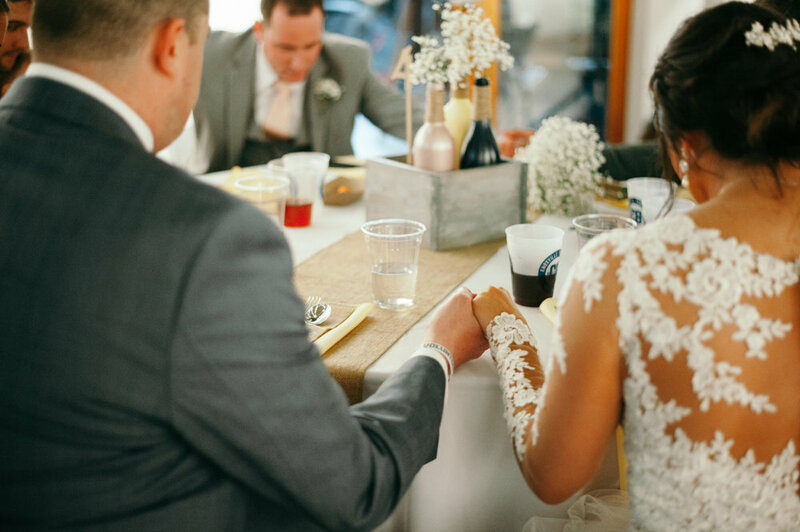 Joyful tears and loads of laughter filled Chelsea and Brandon’s sentimental wedding day! 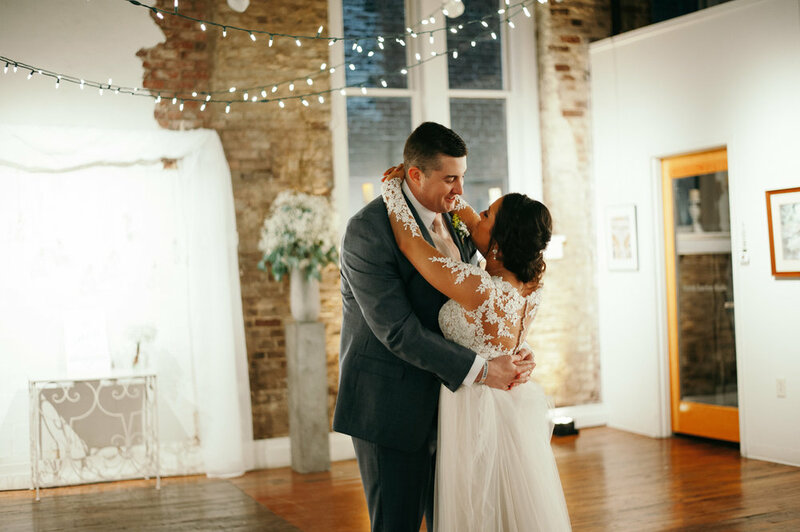 Chelsea and Brandon also used Knoxville landmarks in their wedding portraits for a unique celebration of their Knoxville, TN home. 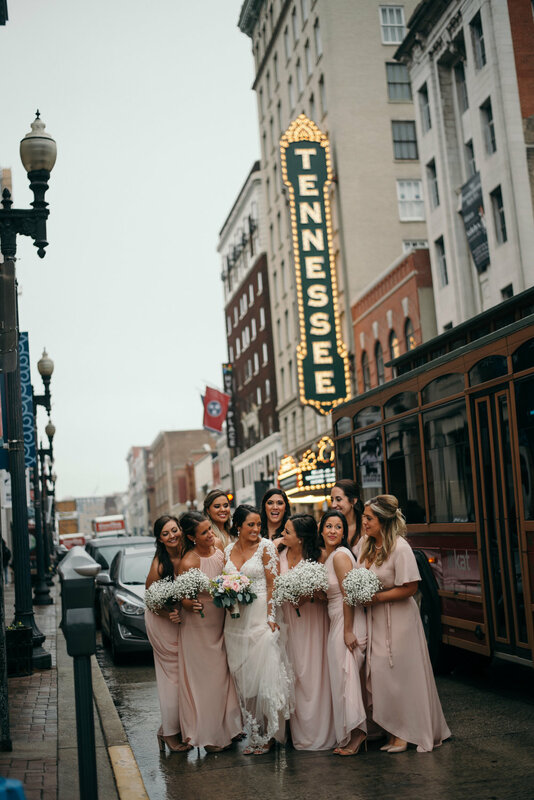 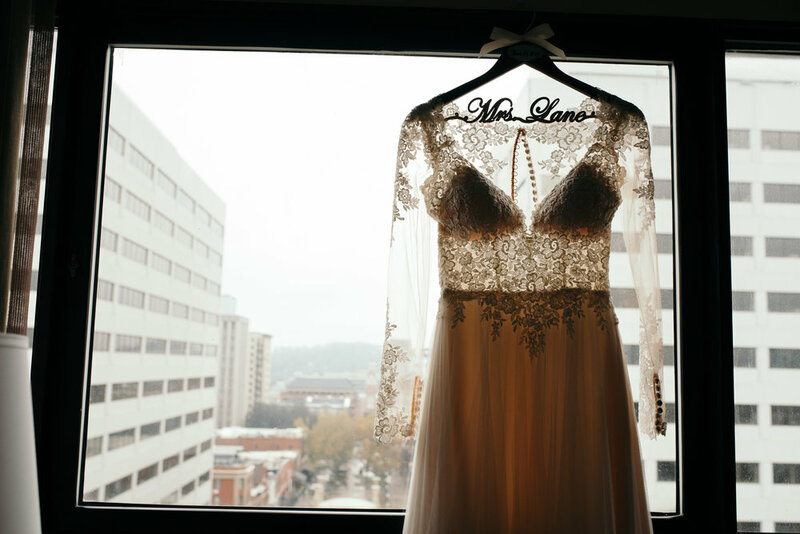 The Sunsphere, Neyland Stadium, and Knoxville’s trolleys all made an appearance in their fun wedding party shots. 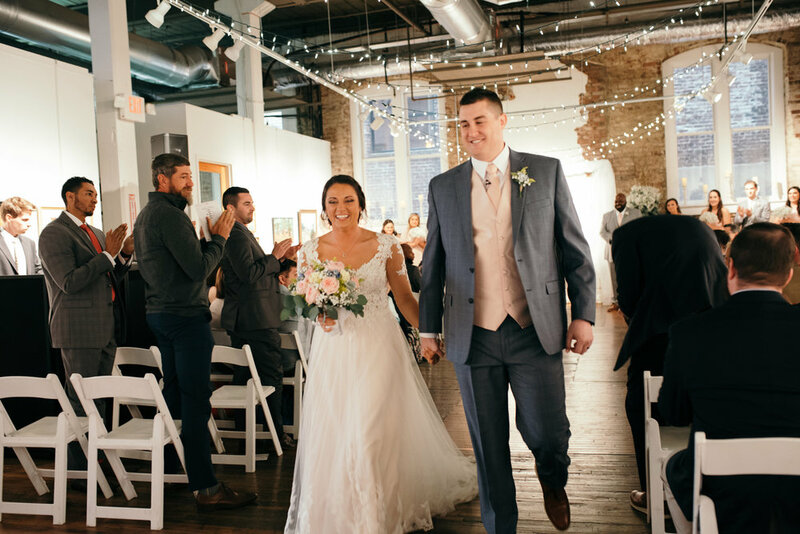 They also had fun with their shoe choices: the groomsmen wore custom personalized socks, and Chelsea changed from gorgeous heels to casual Converse low tops for the reception. 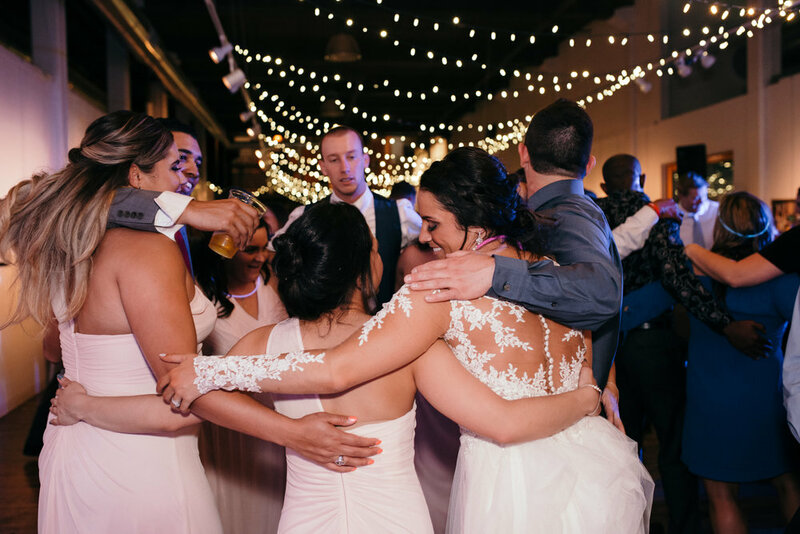 After a day of celebrating their wedding in Knoxville’s Emporium Center, Chelsea and Brandon left their reception to a fun glow stick sendoff.